Coming from a musical family and inheriting some musical mojo from his father, Ronny grew up exploring many instruments and quickly became well aware of his purpose in life. Relentlessly, he was his own drill sergeant and spent up to 10-12 hours a day meticulously practicing his instrument and studying many different musical styles. When you’re going for an extreme metal tone the same way that Soilwork does, you’re going to need every last ounce of power from a high gain amplifier. 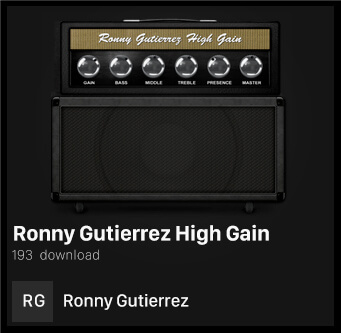 That’s exactly what you get with this preset that matches the sound of one of the best high gain amps ever made with pinpoint accuracy. “Tight and Punchy” is - without question - the best way to describe this preset. 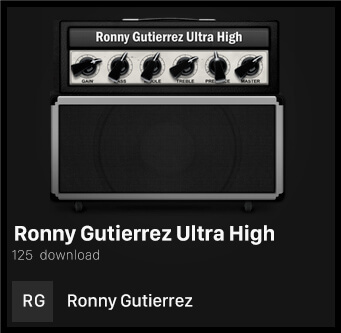 Move from powerful rhythm sounds to epic solos with ease using this amp designed by Ronny to be your perfect live companion. 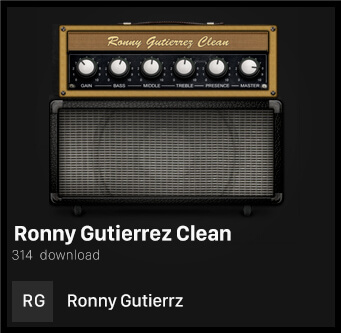 We’ve all been there: You get a killer high gain amplifier, but it just leaves so much to be desired when it comes to clean tones. Well, that’s certainly not the case here! Pair up this amazing clean amp with your favorite heavy distorted tones to cover all of your bases!